THE VERDICT: If your curiosity is at all piqued by the phrase “morbid farce,” look no further–”A Scythe of Time” is the pleasant poison to pick. This Poe-inspired gleefully dark new musical wonders what would happen if a publisher (one Mr. Blackwood) paid writers top dollar to document their own suicides. (Lovely topic for a night at the theater, right?) But “Scythe” doesn’t succumb to melodrama [except when melodrama is worth a chuckle]–instead it prances around the gallows with an operatic flair. As a result, some of the weight of death feels perhaps more fleeting than it should, and the sense of strong conviction in the performances don’t feel matched by the events they transpire within. But the concoction is plenty of fun nonetheless. Have a laugh in the graveyard with the show, won’t you? THE VERDICT: Thank God for a new musical that lets LGBTQ characters simply be characters–not sob stories, or emotional props, or cliches, but breathing, loving people. Gosh, that’s refreshing. Out of all this, some conflict arises with the rules of the book-jumping, and who gets to write or say what–truthfully, the plot never really solidifies. You’re always on board, but the stakes feel fabricated by the arbitrary rules placed on the world. But: The conflict these teens feel is real–their desire to tell their own stories, and not have stories written for them. And this, friends, sets up a charming, scrappy, and full-hearted new musical. THE VERDICT: Seeds sown in our youth bear unforseeable fruit in adulthood–one kind gesture or stolen moment seeps into our stories and appears again, like a once forgotten friend. “Children of Salt” understands the way time yawns between childhood and the decades after. This self-proclaimed “New Latin Musical” follows a web of children growing up by the beach in Mexico, punctuated by glimpses of their future meetings in later years. The show centers in on Raúl, who witnesses his friends (and himself) ebb and flow through trials and joys. “Children of Salt” is richly textured, and performed with conviction. Put the book up to scrutiny and it can be difficult to track–we mostly watch proclamations of emotion without really seeing those emotions develop and unfold. Love is beautifully declared but rarely simply witnessed in moments; relationships are telegraphed by sentiments more than events. But, despite this opacity, here’s my recommendation: See the show, and let it hit your heart. Don’t overanalyze. I’ll take a show willing to be brave over a well-oiled but toothless musical any day. THE VERDICT: It’s strange to me that, considering the modern world’s wealth of diverse comic book stories across all sorts of movies, books, and shows, “Ultimate Man!” would lean so hard on hollow comic book cliches. Despite an earnest cast and few hints of some fresh (albeit under-explored) ideas about the connection between creativity and family, “Ultimate Man!” feels meandering and stilted. The basic premise is pretty fun: Joe, a comic book writer, witness his comic creations leap off the page and cause mayhem in the real world. But the direction feels uninspired and half-baked, dwelling on sentimentality and characters that rarely reach beyond archetypes you already know and expect. The show has a spirited upbeat energy, but wears out the welcome by never really building a cohesive plot or breaking out of cliches. The villain is merely villainous, the hero has neither a clear superpower nor anything resembling a kryptonite, and good and evil forces are predictable. The plot twists are telegraphed, and we’re always a step ahead, waiting for the show to catch up and surprise us. THE VERDICT: There’s a rule about comedy–if you write a character as a jerk, they better be charming, likeable, or fascinating. Regrettably, none of these virtues describe the main character of “The First Church of Mary, the Repentant Prostitute’s FIFTH ANNUAL!!! Benefit Concert, Revival, and Pot Luck Dinner” (whew!). We find ourselves in a concert play in the vein of “Hedwig and the Angry Inch,” which zig-zags between bombastic gospel music and generally mean spirited sketch comedy routines. Ostensibly the whole thing is about a church gathering for charity and raising some joyful noise. I wish it were an exaggeration to say that eighty percent of all on-stage interactions involve Adamenses Huckster belittling, insulting, shutting up or inviting ridicule upon her fellow cast mates. It isn’t an exaggeration. She spends most of the show irredeemably selfish, while members of the church chorus and organization are largely silenced in any attempt to rebuke. When redemption does come, it is halfhearted and about an hour too late. THE VERDICT: Walking out of the theater after seeing “Eh Dah? Questions For My Father,” you feel that you’ve had your first heart-to-heart conversation with a soon-to-be close friend. Aya Aziz lovingly leads us through fragments of her life as a prism of cultures and backgrounds–her life (lives?) as Egyptian, American, New Yorker, Artist, and so on. “Eh Dah?” is a refreshingly unselfish autobiographical solo show. On technical levels the show falls prey to a lack of focus–scenes feel more like shuffled episodes that are lovingly portrayed but hard to track in the greater trajectory of the show, and Aziz’s singing is earnest and heartfelt but rough and uneven after some scrutiny. If anything, though, the underlying faults are outweighed by the unique perspective and delicately constructed family portrait that Aziz offers. Welcome to NYMF Unauthorized 2016! After a successful and widely-viewed run (we had thousands of visitors last year!) we’re back to review more shows for the 2016 New York Musical Theater festival! As always, we’ll be here with reviews throughout the festival. We focus on what makes a show great, what could be better, and what kind of musical lovers might find it worth a look, plus projections for the end-of-festival awards nominations and winners. As always, feel free to shoot us any questions at nymf.unauthorized@gmail.com. We’ll have our first two reviews out later today! Keep an eye out, and thanks for reading. Here it is–our best bets for the nominations and awards at NYMF 2015. Note that we weren’t able to cover every show, so this list is based off of the shows reviewed on this site over the past three weeks. Stay tuned for the NYMF 2015 closing ceremony tonight when the awards will be announced! We’ve put our best bet for who’s going to win in each category, noted by italics. 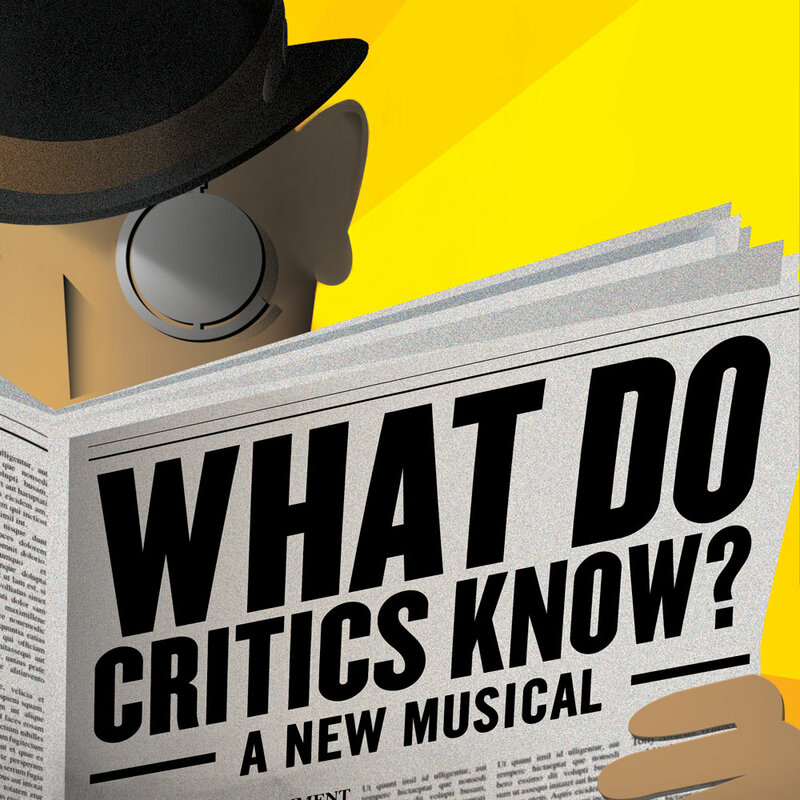 Review: What Do Critics Know? THE VERDICT: There’s two ways that What Do Critics know is going to go for you. If you go to a musical for jazzy showtunes, Broadway-style dance numbers, and classic-style musical theater from decades ago, you’re going to have a lovely old time, and I’ll tell you to check it out. The performances are polished, the music endearing, and it’s a rather funny show. If you want something new, with a heart under the gloss and some new ground broken for you as a theatregoer, you might find it a bit ho-hum. “Critics” has a professional Broadway sensibility and it’s one of the more handsomely produced shows at NYMF this year, but there’s not much drive to the show. Ostensibly it’s about some malicious theater critics who are coerced into having to create a show of their own, reviews and all. (Plus the writer they panned, and all the earnest theater makers who work alongside them.) This premise provides some fun laughs and a heartfelt moment or two, but the show takes too long to get to it, and once it arrives it tap dances around any grounded emotional content or gripping plot that might arise from it. And there’s nary a three dimensional character in the house–stock types for days, even though those types are played to a good deal of their comedic potential. The whole thing feels sentimental to bygone musical times, and that’s not necessarily bad, but think about it all too hard and it starts feeling empty. “Critics” is by and for classic musical theater lovers. It mostly just wants to have a good time, and it’s a pretty good time, but I found myself more pleasantly entertained than particularly engaged. But hey, what do I know? THE VERDICT: I doubt I’m the only one who’s looked around the train during his daily commute and wondered how stoic, isolated and lost in thought people seem to be. 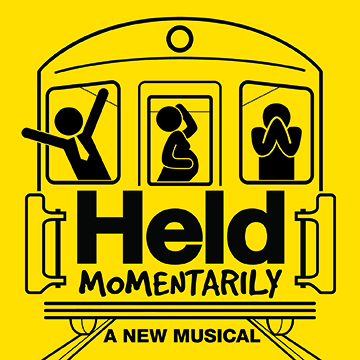 Held Momentarily is presumably about six strangers trapped in a stalled subway car, but its actual concern is exploring what dilemmas and hopes run through a commuter’s mind in that strange time when you’re alone with a hundred other people–and what happens when those commuters are forced to share it all. What follows is a sincere, compassionate portrait of what’s going down on the other side of the subway car. Held Momentarily feels more concerned with flashing back or zooming in on the minds of its characters, rather than presenting plot points in the situation suggested in the title. As a result the quick seventy five minutes feel more like a loosely interconnected revue about New Yorkers than a musical that has a story to tell–when you take away the “I want” songs and the memory songs you’re left with not much meat left on the bones of the plot, and as a result it’s hard to root for the characters as often as you learn about them–not to mention that some characters feel sincerely portrayed but not completely fleshed out in three dimensions. But the songs are lovingly crafted and as varied as a story about six New Yorkers should be, and the last third of the limited plot shows us moments of crisis can bring us together, and quell the lonely stories that rampage in our heads. It turns out we need each other to figure ourselves out. Go figure.